Where’s OneNote 2016 in the Microsoft Store? Microsoft Office 365 in the Microsoft Store comes with OneNote for Windows 10. This new app is faster, easier to use, and more accessible than ever before, and it’s regularly updated with new features. If you’ve downloaded Office from the Store and are looking for OneNote 2016, please read below for important information. Microsoft Office is available for download from the Microsoft Store app. This edition of Office brings you all of the great apps and features you know and love, along with the safety and security of a Store app. To download Office from the Store, click the Start button on the Windows task bar and select the Microsoft Store app. Once you’ve opened the Store, simply search for Office to download and install Office 365. For more information about Office in the Microsoft Store, see our answers to Frequently Asked Questions. Where do I get OneNote? OneNote comes pre-installed on all editions of Windows 10. 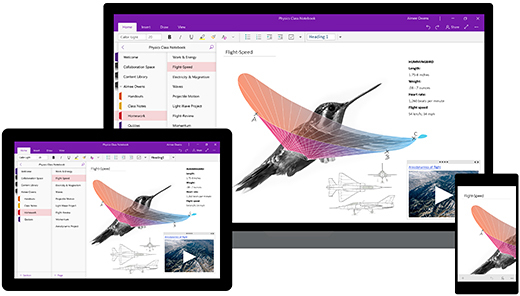 The app also comes with Office in the Microsoft Store and includes subscriber-only features like ink effects, Math, and Researcher. If you already have Office 365, simply sign into OneNote with your subscription account to start using these features. To start OneNote, click or tap the Start button on the Windows task bar, start typing OneNote, and then click or tap the OneNote app icon when it appears in the results list. Alternately, you can scroll through the alphabetical list of installed apps, and then click OneNote under the O section. On most devices, the OneNote tile is already pinned to the Windows Start menu. OneNote for Windows 10 is regularly updated with new features and improvements. For a list of recently added features, see What’s new in OneNote for Windows 10. What if I still need OneNote 2016? If your company or school requires you to use OneNote 2016, you can download it from the Microsoft Store. Note: For the best experience, Microsoft recommends using OneNote for Windows 10, which is regularly updated with new features. OneNote 2016 in the Microsoft Store is a preview build and may not always work as expected.